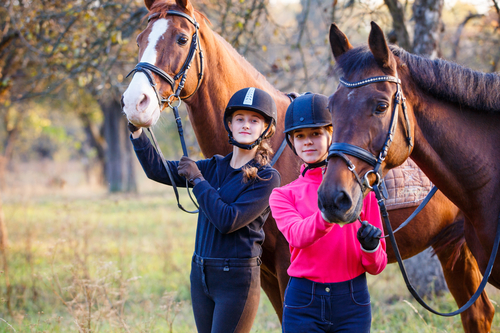 When accessing a location it's important to determine close proximity to riding schools, training facilities, feed and tack store, local vets, as well as everyday conveniences such as shopping and community amenities. Not all properties that are zoned for horses are necessarily equestrian friendly enclaves. It may be an important consideration in your search that the near neighboring properties are horse friendly. Some neighborhoods have more equestrian amenities, events and shows, as well as bridleways running throughout the community. Not all locations offer ideal riding opportunities with community bridleways. If your acreage isn't expansive enough for riding, you will want to make sure there is a nearby arena or round pen. Everyday accessibility for normal day to day deliveries and emergencies is important for the vet, horse trailers, emergency vehicles, and hay deliveries. Suitable access to the barn with wide turnaround driveways is essential which may include grading an additional access road. According to the experts at Equine Therapy, the general rule is that you should allow at least 1 ½ acres for the first horse plus an additional acre for each horse thereafter. Most area zoning will mandate the maximum allowable amount of horses versus land size. We find our equestrian clients are searching for two acre to five acre parcels. In order to keep the land in good shape, you need to allow enough acreage for each part of the pasture to rest for six weeks, at least twice a year. This form of pasture management is called Rotational Grazing. The United States Department of Agriculture and the Natural Resources Conservation Service put out a guide called Pastures For Profit: A Guide To Rotational Grazing. Ideal soils are sandy loamy, organic soils that will impact the quality of grasses for pasture growth. The USDA Service Center provided by the Farm Service Agency, Natural Resources Conservation Service, and the Rural Development agencies can assist with soil type advice. 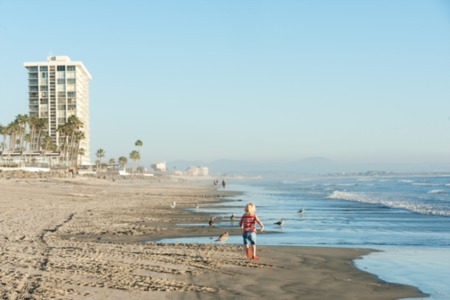 For due diligence on San Diego equestrian real estate click here for the San Diego County’s USDA Service Center, here for the Resource Conservation District (RCD) of Greater San Diego County, or hear for the Web Soil Survey (WSS). Additionally it's important to ask for an existing geotechnical soils report or plan on ordering one while in escrow as part of your due diligence. It's important to investigate the vegetation and natural habitat including identifying possible noxious weeds such as Ragwort and Stinkwort or native grasses like sedges and rushes which would indicate a wetland area. The San Diego chapter of the California Native Plant Society is a great resource for understanding local native plants as well as the California Native Plant Society. There's a comprehensive list of plants toxic to horses located on the ASPCA website. Flat or gently rolling topography is the most ideal which helps control against water run off collecting in the wrong areas. Ideally the land should not have more than a 15 percent slope. Each horse will drink approximately 5-10 gallons of water per day therefore convenient potable water is vital. Often times on San Diego horse properties there is a well for the irrigation and horses with city water for the main house. The well needs to run a minimum of 10gpm. Creeks, wetlands, rivers, lakes, ponds, and irrigation ditches all need to be examined. Natural bodies of water have laws (water rights) that protect them, and a local irrigation district may have a water rights easement. There also may be setbacks and fencing regulations and requirements set forth pertaining to environment protection. To prevent erosion and divert water away from vulnerable areas you'll want to verify waterways are properly lined with concrete, stone, or other materials. A lined waterway and properly sloped and protected road will minimize erosion. With an existing septic system and well you want to have both systems inspected, the septic tank and leach fields inspected, the well pump and the equipment, and request the seller pump out the septic tank. If there is an existing septic system you want to make sure the leach field is not under the pastures. It also may be a consideration for the barn to have it's own septic if you have an extensive setup with wash rack, grooms quarters, and laundry. Inadequate drainage can cause land to be muddy, which lead to falls or other health problems. You can install a drainline, ditch, or berm. Ideally, you’ll want to visit the lot shortly after a rainstorm to see where water accumulates. The installation of roof runoff structures like gutters and downspouts will correctly divert water away. As always, check to make sure that any buildings on the property are structurally sound. Small issues like broken fences and stalls can be replaced easily, but sagging foundations can not. In the paddock areas a run-in shed for shade, rain, or intense winds is ideal, especially if there is no stable or barn. Is there a barn or stable and does it have adequate storage for hay and equipment? If you need to build one you will have to go through the county permitting process and certain neighborhoods have a design review board. A tack room should be secure, dry, and conveniently located for feed, saddles, bridles, blankets, and more with adequate lighting and storage. Abundant storage and parking for horse trailers, tractors, manure spreaders, and arena maintenance equipment is necessary. Suitable fencing adds value to the property with safety, durability, and visibility in mind with installation and materials running up to $10 or more a foot. Riding arenas begin with an adequate base, drainage like crowning or french drains, proper footing, on a flat surface. Determining on vacant land if and where there may be existing easements for flowage, open space, storm drain, road and utilities, underground communication, sewer pipe lines, and recreational trails is important. It's important to understand setback requirements from the road, waterways, existing structures, easements, and property lines. If the property is sloped you'll want to look for erosion problem. Ideally the slope is covered by mature grass. Access roads graded properly ensure erosion will not impact the accessibility of the road, while mulching the adjacent slopes to the road. Technology now makes property security for storage and tack rooms and even barn surveillance more manageable. If adding acreage to your property in the future is on your wish list, you'll want to examine the neighboring properties and feasibility. Equestrian property owners need to be especially careful to ensure that they remain compliant with local zoning laws. The exact ordinances will vary depending on your location and your intended usage of the property. In San Diego County, for example, no permit is required to keep privately-owned horses. However, those interested in boarding horses or other commercial uses will need to apply for a conditional use permit. These permits are issued on a tiered system, which is dependent on the size of the land, number of horses, and services offered. In addition, the county also has minimum acreage requirements based on the number of horses housed on the property. 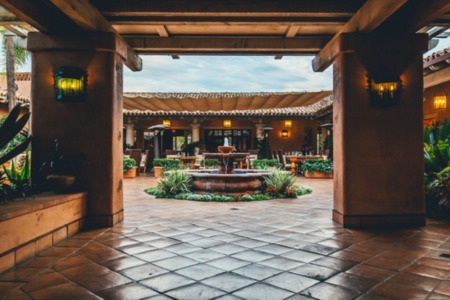 Meanwhile, within The Covenant of Rancho Santa Fe, residents are subject to the association’s individual regulatory code. Horses may be kept for private use only and ownership requires an animal keeping permit to be granted by the Rancho Santa Fe Association Art Jury. The Covenant restrictions state the property must have a minimum of two acres for horsekeeping, with a minimum allowance of one acre per animal. Plus, any animal keeping structures must meet certain aesthetic standards. There are instances where the number of allowable horses allowed is "grand-fathered" into the deed, however if there's a period with no horses on the property the protective clause can be taken away. Purchasing a horse property requires an extra layer of consideration. Not only do buyers need ensure that the property meets their own needs, they need to verify that it will be suitable for their horses. Carefully consider each of the factors above during your search. By doing so, you’ll be able to rest easy knowing that you’ve made a truly informed decision. We specialize in selling equestrian real estate in San Diego. Here is a helpful checklist for Equestrian Property Best Practices Management as well as San Diego County Horsekeeping Guidelines. Need More Information as an Equestrian Buyer in San Diego?